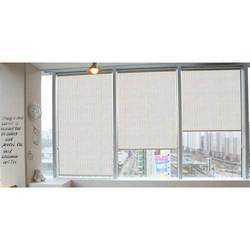 We are a leading Manufacturer of designer translucent roller blind, hive roller blind, satin roller blind, designer translucent roller blind 2, translucent roller blind and folded roller blind from New Delhi, India. Designer Translucent Roller Blind from Image Decor presents a very attractive nested pattern that brings out the perfect feel for your home and decor. Working upward and downward, decorative blinds matches well with any interior decorations. Providing delicate lighting and stable atmosphere, our decorative blinds produces an excellent interior effect. 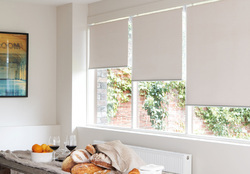 Hive Roller Blind from Image Decor are translucent designer blinds that brings out a very attractive circular bee-hive pattern that brings out the perfect feel for your home and decor. Working upward and downward, decorative blinds matches well with any interior decorations. Providing delicate lighting and stable atmosphere, these decorative blinds produces an excellent interior effect. 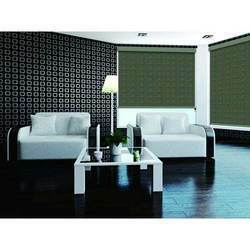 Satin Roller Blindfrom Image Decor is backed by fine quality superior silk look fabric that brings out the best in class feel in your home with your decor. 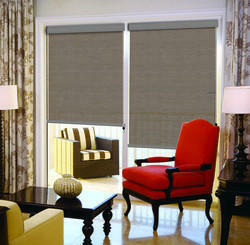 Take advantage of the simplicity and softness of textile sides to block partial sunlight and to protect privacy. Working upward and downward, decorative blinds matches well with any interior decorations. Designer Translucent Roller Blind from Image Decor presents a very attractive wavey pattern that brings out the perfect feel for your home and decor. These blinds don't block the direct sunlight completely from entering your room but this can be used on windows that are not sunfacing. Translucent Roller Blind from Image Decor presents asimple yet stylish look for offices, hospitals and commercial buildings. 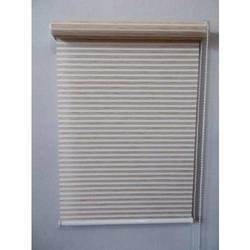 These blinds don't block the direct sunlight from entering your room but this can be used on windows that are not sunfacing. Folded Roller Blind from Image Decor presents a very attractivepattern of pleated blind that brings out the perfect feel for your home and decor. 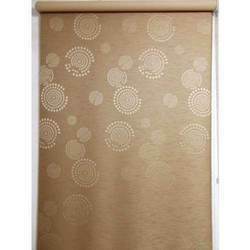 Sunscreen Roller Blind from Image Decor presents asimple yet attractivepattern that brings out the perfect feel for your home and decor. 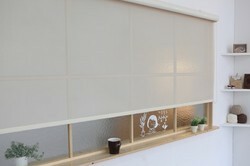 These blinds stops the harmful rays of sun from entering your room while mainting the balance of light passing through. 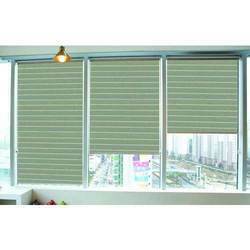 These blinds are suitable for offices and corporate buildings. 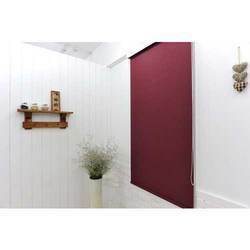 Designer Foam Backing Blackout Roller Blind from Image Decor presents a very alluring pattern that brings out the perfect feel for your home and decor. These blinds block the direct sunlight completely from entering your room. 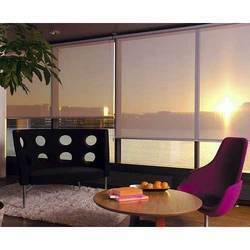 Take advantage of the simplicity and softness of textile sides to block sunlight and to protect privacy. Glittering Roller Blindfrom Image Decor presents asimple yet attractivepattern of gittering lines that brings out the perfect feel for your home and decor. Mesh Roller Blind from Image Decor presents asimple yet attractivepattern that brings out the perfect feel for your home and decor. 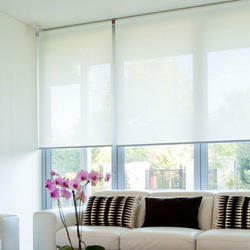 Just like sunscreen blinds these blinds have high resistance to harmful UV-A and UV-B rays of the sun. Specially tested high quality PVC fabric that is perfect for use in offices, corporate building and homes with direct sunlight. Silky Jute Roller Blind from Image Decor presents the best in class high quality silky fabric for just blinds that brings out attractivepattern and perfect feel for your home and decor. Eco Blackout Roller Blind from Image Decor presents asimple yet attractivepattern that brings out the perfect feel for your home and decor. These blinds block the direct sunlight completely from entering your room. Jute Roller Blind from Image Decor presents ashiny jute pattern that brings out the perfect feel for your home and decor.